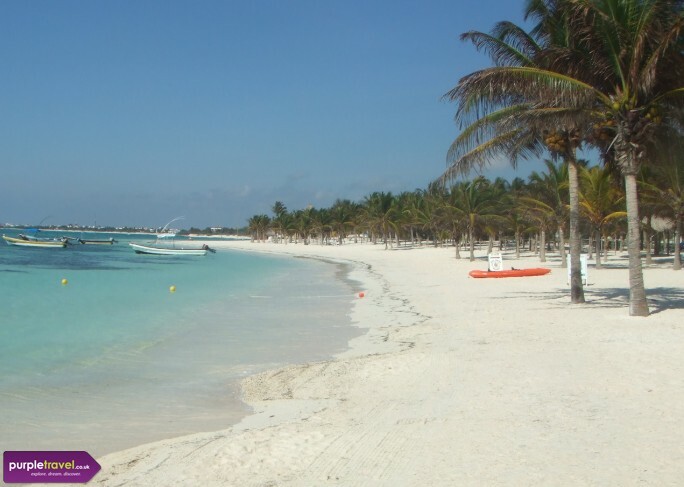 Right on the stunning Riviera Maya Coast in Mexico, Akumal holidays are all about white sandy beaches, warm, turquoise waters, luzury accommodation and fantastic weather. It's in a great location close to Playa del Carmen and its name means ‘place of the turtles’ so maybe you’ll get lucky in seeing some at the beautiful Half-Moon Bay, but we’d be happy with a gentle stroll on the beach, or long lazy days in the sunshine. Book cheap holidays in Akumal, Mexico or find out more information with the expert team at Purple Travel and save money. So much to do in this aboslutely beautiful resort. The hotel was stunning and whether it was a day at one of the many pools, going to the beautiful beach or taking a good quality day trip, i couldn't fault Gran Bahia Principe. Staff were friendly and attentive, very clean. One of the best holidays we've ever had. We didnt leave our resort much but there was so much going on in the surrounding area. Would highly recommend for a holiday – really beautiful place.d. First time in mexico and i can't wait to go back already. Akumal is picture-perfect and theres plenty to do for people all ages. The mile long stretch of beach is immaculately clean with golden sand. We chose Akumal over Cancun so we could be somewhere a little less busy, and we weren’t let down. Akumal is absolutely wonderful. The beaches are amazing and you can easily get around to visit the sites during the day.